Welcome to the MÜHLE UK Blog! 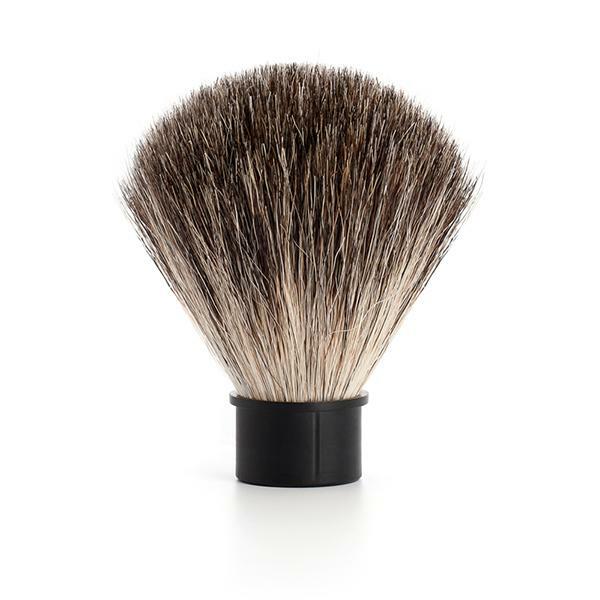 Connoisseurs rank our shaving brushes among the best in the world. This is a development that we are driving forward continuously with use of innovative synthetic fibres. 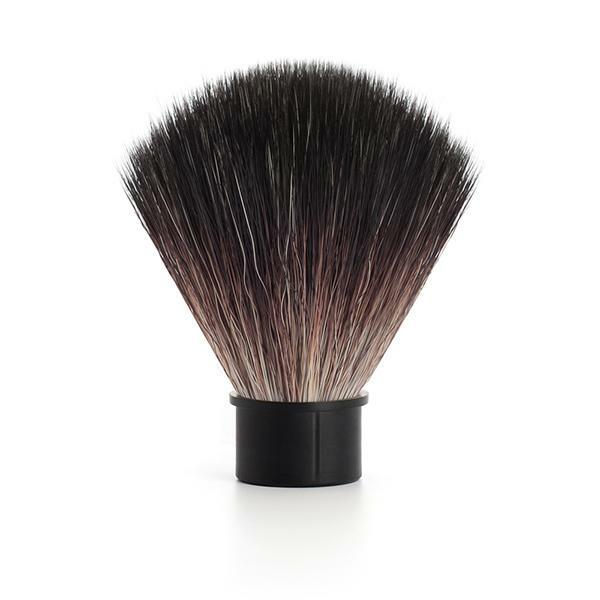 Our natural brushes consist of high-quality badger hair in three qualities, or our vegan, synthetic alternatives include the premium qualitySilvertip Fibre® and the synthetic Black Fibre. Whatever the bundle, we have great choice of exquisite handle materials. The finest natural hair for handcrafted shaving brushes. Its special features are the shimmering silver colour and a black band running though the hair. 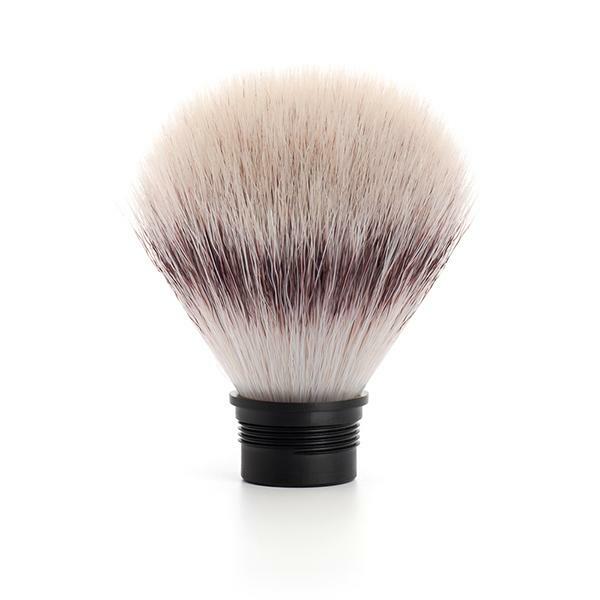 It is usedto make durable, high-quality unique shaving brushes. Known for its soft tips which are gentle on the skin and strong backbone which creates a fantastic massage effect and lifts the hair; bundles of this quality make the wet shavethe best time-out imaginable. 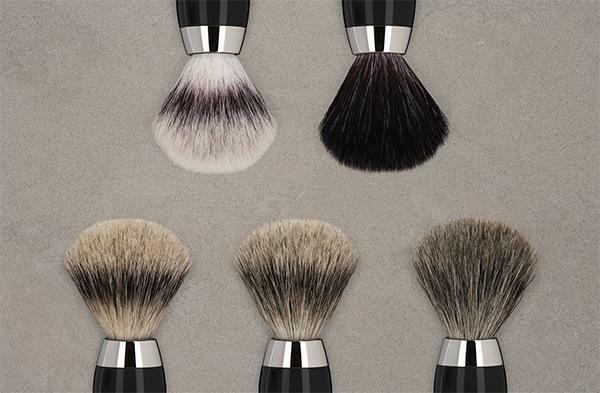 Our EDITION, Classic (Sophist & Purist), Classic Shaving Brushes, Modern (Kosmo & Stylo), Traditional, Hexagon and Rocca ranges are available with Silvertip Badger. This quality comes close to the silvertip badger, the hairs are slightly firmer andits light grey colouring features the dark stripe typical of high badger hair qualities. 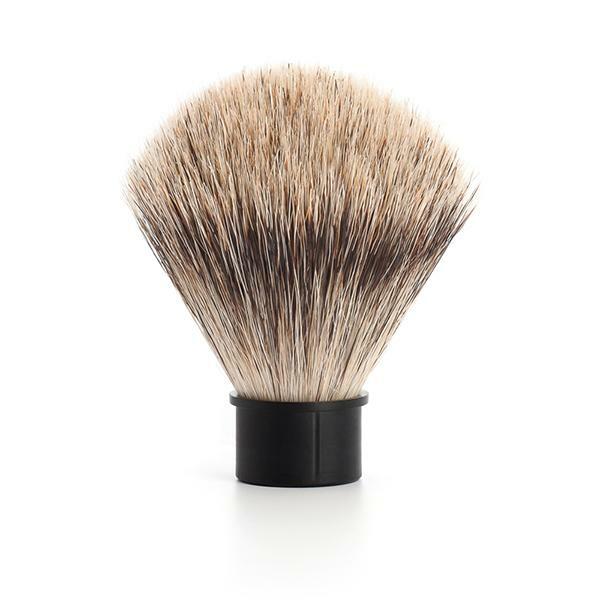 It is extremely well-suited to wet shavers who value the softness of badger hair and a tangible massage effect. The careful processing is donemechanically in accordance with the highest standards. Our Classic (Sophist & Purist) and Modern (Kosmo & Stylo) ranges are available with Fine Badger. Among the natural hair types, pure badger with its darker colouring guarantees exceptionally solid quality and a somewhat stronger massage effect. The softhair is sturdier than Silvertip badger and Fine badger, but much more flexible than bristle material. It is manufactured mechanically according to the same high standards which are applied to all MÜHLE products. Our Intro ranges are available with Pure Badger bundles (Liscio, Vivo and Rytmo). With this long-lasting synthetic fibre in premium quality we succeeded in achieving aworld first and in proving that art is capable of surpassing nature. The particularly low-maintenance fibres, which are suitable for vegans, are processed by hand and very soft at the tips, but somewhat firmer than natural hair in the middle section, meaning like a Silvertip Badger brush, this is also very gentle on the skin with a fantastic massage effect. Other product features: even with very small amounts of shaving soap or cream it produces arich lather, and the brushes dry quickly after use. Our EDITION, Classic (Sophist & Purist), Classic Shaving Brushes, Modern (Kosmo & Stylo), Traditional, Hexagon and Rocca ranges are available with Silvertip Fibre. This synthetic fibre was developed in-house and is similar to natural badger hair inits dark colouring, softness and quality, and a little softer at the tips. It possesses equally good performance characteristics and the synthetic fibres are somewhat sturdier and more durable. 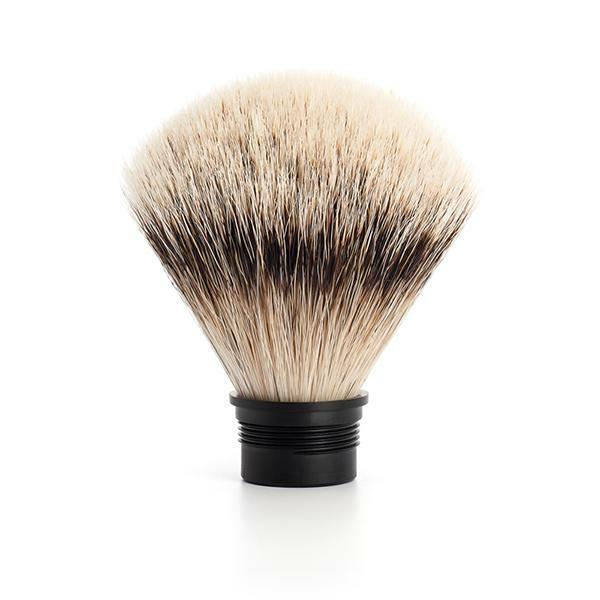 Some prefer this material due to its vegan properties and because it also produces particularly creamy shaving lather. Our Intro ranges are available with Black Fibre bundles (Liscio, Vivo and Rytmo).